Monday night Philosophy is back! What a better way to spend your Monday evening than exploring the philosophical views of Socrates and Plato? Now that summer is almost here the ”Socrates, Plato & Know Thyself” night is back to add an educative twist to your week! 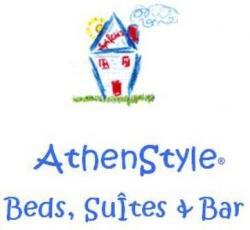 The meeting takes place at 7 pm in the Athenstyle rooftop bar and lasts about 40 minutes with questions afterwards. James explains the basics of what Socrates, Plato and Greek Philosophy was all about, and why new students at Plato’s Academy usually began by studying the book ”First Alcibiades” and the essential Greek philosophical concept of ”Know Thyself”. We strongly recommended both for our visitors as well as for everyone who wants to spent an evening at a beautiful roof with a great view of the Acropolis! On Tuesday mornings James gives a ”Philosophical Walk” discussing Aristotle’s ”practical” philosophy. You walk slowly for half an hour to a beautiful location passing the Prison of socrates on the way. the meeting is at AthenStyle Lobby at 9:50.